What 1 Corinthians 10 is about is the way the Corinthians had overestimated the power of the Lord’s Supper as sacramental food, and had underestimated the purpose of the Lord’s Supper as spiritual fellowship with Christ. In other words, they saw eating the bread and drinking the cup as a kind of sacramental antidote to any ill effects that might come from tasting the poison of idolatry. And so they overestimated the power of the Lord’s Supper. 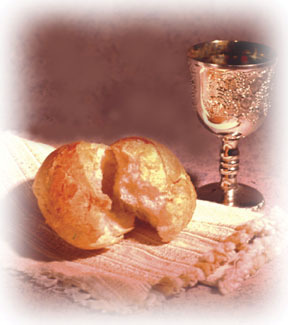 And they failed to see that the purpose of eating the bread and drinking the cup was to share in the life of Christ and to fellowship with him as one body. And so they underestimated the purpose of the Lord’s Supper, and thus its true power in the fight against idolatry and sin. And both their overestimation of its power to immunize, and their underestimation of its purpose to nourish fellowship with Christ, made them vulnerable to sin. And not only to sin, but to entanglement with demons.